Present-day stage in the development of worldwide spacecraft technology is characterized by an increasing use of electric propulsion (EP) for solving a broad spectrum of problems: from a correction of a spacecraft position in orbit to a radical change of its flight trajectory and implementations of interplanetary missions. The application of electric propulsion allows a significant reduction of the spacecraft mass as a consequence of propellant saving. This, in turn, provides substantial cost savings of the mission. In Israel, for over 20 years, research and development in the electric propulsion field is being carried out. As a culmination of present Israel’s experimental research and developments in the EP area, a thruster system based on the Hall thruster was built for the joint French-Israeli satellite (project “Venus”). Israel’s research and developments in the EP area can be defined as having a high level, but Israel is able to become one of the leaders in this promising area. An indicator of this are the results of the recent successful tests of a new concept of a small power Hall thruster CAMILA, proposed and developed at ASRI-Technion. 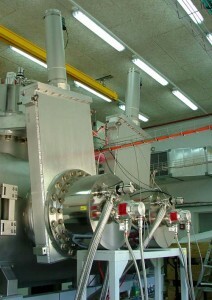 The performance of the thruster, obtained in the tests, is, probably, the best in the world in the range of powers from 150 to 500 W.
In order to significantly expand the investigations in the field of the electric propulsion in Israel, an Electric propulsion laboratory (EPL) was established at ASRI-Technion. 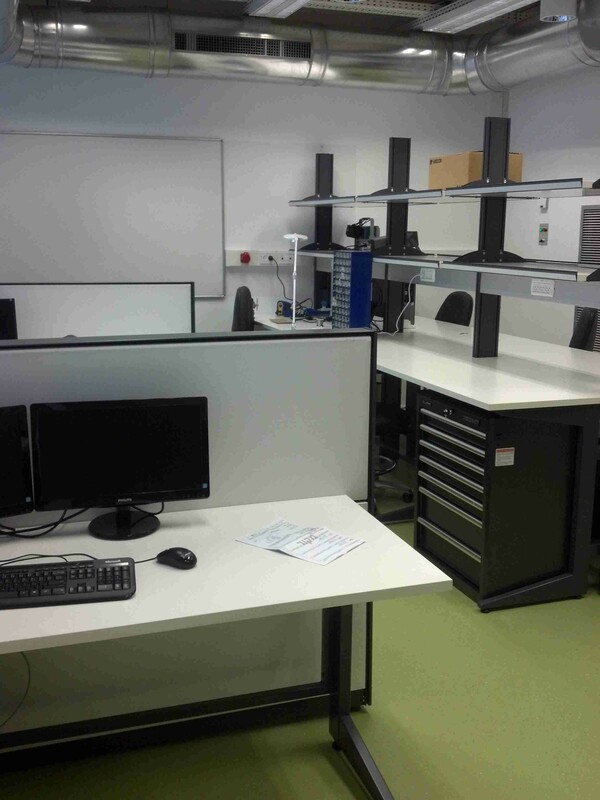 The Electric Propulsion Laboratory (EPL) is located on the ground floor of the ASRI new building. The laboratory is divided into two halls, the Experimental and Machine halls. 3D-layouts of the Experimental and Machine halls are presented in Fig.1. 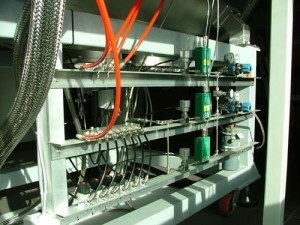 Three mass flow controllers (Fig.5) . 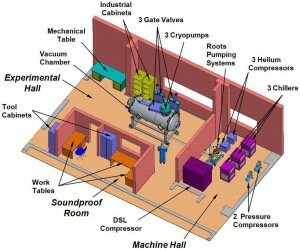 Control of the vacuum equipment, thruster, and diagnostics is performed from the soundproof room (Fig.6) in the hall. The Machine hall, having a floor space of 20 m2, is intended for placement of compressors for the cryopums, fore-vacuum mechanical pump (Fig.7), compressors for producing compressed air, and chillers for cooling the compressors. The Laboratory is completed with the different diagnostics needed for the comprehensive experimental investigations of the Hall thrusters including cathodes compensators. A device to measure the thrust of the electric rocket engines. The measurements of the thrust along with measurements of the propellant mass flow rate, mentioned in the previews paragraph, are the most responsible. As a device for the measurements of the thrust, the SEMS-200 was chosen. The manufacturer of the device is Platar Ltd (Moscow Aviation Institute, Russia), having a large experience in building such devices. The SEMS-200 is intended to measure the thrust of the electric rocket engines in the range from 1 mN to 200 mN. The device operates with the use of a pendulum suspending with feedback. The thrust is defined from the magnitude of electrical current needed to put the pendulum into the starting position. 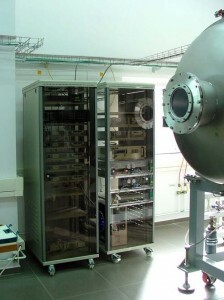 The system for probe measurements of the distributions of plasma and electric field parameters both outside and inside acceleration channel. The system consists of electrical probes and motorized positioning assembly to move the probes. The positioning assembly allows with the accuracy not worse than 0.2 mm and velocity up to 30 mm/s 2D-mapping the acceleration channel of the thruster. The Laboratory activities will be focused on the following directions. Creation of the scientific basics for essential improvement of Hall thruster’s performance. Much attention will be given to investigations on the optimization of the design and operation modes of Hall thrusters intended to meet the potential needs of Israel’s space program. 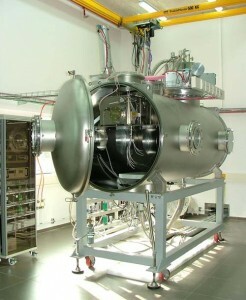 Taking into account that in Israel, the production of cathode-compensators for electric rocket engines is absent – a situation which is quite unacceptable for a country endeavoring to self-supply with crucially important components of the thruster, in the laboratory, works on scientific support of the cathode-compensator production in Israel will be carried out. 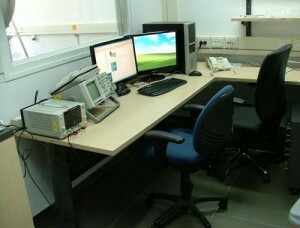 It will also conduct research of cathode-compensators based on new principles of operation. Such cathodes can potentially possess high value properties. Research and development of new high-informative diagnostics to provide monitoring of thruster health in the course of ground-based tests and especially in flight. Custom-solving problems arising in the course of operational development of new thruster design requiring a high scientific qualification or/and the use of specific diagnostics or software. Investigations of interaction of the thruster with other spacecraft systems in order to improve the thruster compatibility.